Dentons is to combine with Scottish firm Maclay Murray & Spens, embarking on the latest phase of its European expansion into Scotland’s oil and gas markets and bringing its total UK lawyers to over 800. The merger is the latest in a series for the Dentons, the world’s largest law firm by number of fee earners, as it adds three more offices in Aberdeen, Edinburgh and Glasgow. Dentons’ European offices will total 31 on completion of the deal. Maclays partners and Dentons UKMEA partners have approved the takeover, which will add 196 lawyers and 62 partners to Dentons UK operations, bringing its partner figure in the UK to 198. The deal awaits the go-ahead from Dentons global partnership, expected in three weeks. Maclays will then operate under the Dentons brand. The Scottish firm focuses on financial services, energy, transport and real estate. The two firms also share clients in the banking sector including RBS, Lloyds Banking Group and Santander and are both on the panel of transport company Network Rail. Dentons UKMEA CEO Jeremy Cohen told Legal Business that the strong practice fit between the two firms and the opportunities to service clients ‘much more seamlessly’ north and south of the border were the main factors in the merger. ‘The office in Aberdeen gives us the opportunity to have a presence in Europe’s leading oil and gas centre,’ Cohen said. Maclays advised Aberdeen Asset Management on its merger with Standard Life in March 2017, which valued the Scottish fund manager at £3.8bn. He also mentioned the firm’s clients in the whisky sector, which is ‘mostly served and consumed outside Scotland’, as other potential beneficiaries of the merger. They include the Edrington Group and Inver House Distillers. This is the third merger this year for Dentons, after it combined with Dutch law firm Boekel in March and with Monterrey-based Canales Zambrano y Asociados at the start of the year. In May, the firm launched in Georgia, taking on a team of 11 lawyers from DLA Piper in Tblisi, and opened its second office in Saudi Arabia alongside Riyhad with a launch in Jeddah. The firm also recently announced plans to form an alliance with Brazilian firm Vella Pugliese Buosi Guidoni, which will give Dentons access to 13 partners and 116 fee-earners in São Paulo and Brasília. Denton’s UKMEA financial results in 2016/17 revealed a 9% fall in profit per equity partner (PEP) to £481,000 and a modest 1% increase in revenue to £166.4m. 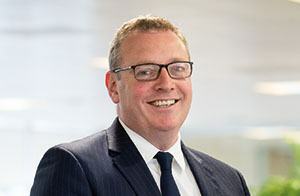 Pinsent Masons has hired Scottish rival Maclay Murray & Spens’ financial services head David Young (pictured) to Pinsents’ Edinburgh and London offices, as it grows its funds and finance offering. Young’s clients have included Scottish Widows, Lloyds Banking Group, Railways Pension Scheme, Aberdeen Asset Management, Dalmore Capital, Martin Currie, Threadneedle and Lothian Pension Fund. He qualified and has spent his career at Maclays, where he was made up to partner in 2009, when he set up and led the firm’s alternative fund practice in Scotland. Specialising in fund structuring, formation and investment for investors and fund managers, Young also advises on as asset management regulation. Global group head of finance and projects, Michael Watson told Legal Business: ‘David’s a fund and financial regulation partner of some repute in the UK’. He has expertise in the financial services sector, ‘one of our key sectors’. He also ‘does a lot of work with funds that operate in the infrastructure and energy markets which are very important to us’ as an area of growth, Watson said. ‘Our goal is to be a market leader in infrastructure, energy and financial services sectors. That means we want to support clients across all different skill sets in different sectors’, he added. Alexis Roberts, Pinsents’ financial services’ head, said that the UK funds market was an active industry in which the firm had a long-term commitment and continued to invest. Young’s appointment comes shortly after Pinsent Masons announced last week that it will open in Dublin with the hire of a three-partner team. That office will initially focus on the financial services and technology sectors. 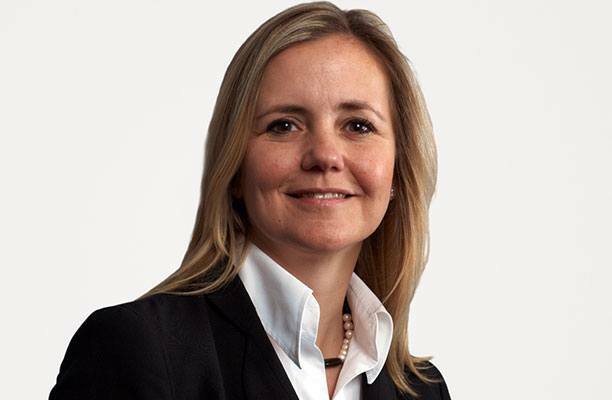 Investment funds partner Gayle Bowen joined from Walkers, boosting the firm’s finance team, alongside data protection and IT partner Andreas Carney from Matheson and corporate partner Dennis Agnew from Bryne Wallace. Pinsents recently acquired a diversity specialist company. Freshfields Bruckhaus Deringer, Slaughter and May and Maclay Murray & Spens have won roles on Standard Life and Aberdeen Asset Management’s £3.8bn merger. The companies confirmed the terms of the all-share deal which will create the UK’s largest asset manager with £660bn in assets under management. Co-head of financial institutions Claire Wills (pictured) and London head Julian Long led the Freshfields team advising Aberdeen Asset Management. Long term adviser Maclays’ head of financial services Guy Norfolk also advised the investment management group. Standard Life’s team on the transaction was led by group general counsel Rushad Abadan supported by its head of general counsel’s office Sara De Busk and legal counsel Benjamin Brust. The firm also turned to a Slaughters team led by corporate finance partner Jonathan Marks and head of M&A Roland Turnill. The Magic Circle firm has previously advised on Standard Life’s return of around £1.75bn to shareholders in 2015, its disposal of its Canadian business to The Manufacturers Life Insurance Company for a reported £4bn and its acquisition of Ignis Asset Management for £390m. 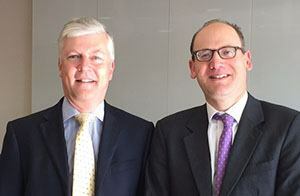 Corporate partners Marks, Craig Cleaver and tax partner Gareth Miles are regular advisers to Standard Life. Last year Standard Life confirmed it had added two firms to its real estate panel following the Ignis acquisition, with Maples Teesdale and Shepherd & Wedderburn joining CMS Cameron McKenna, Herbert Smith Freehills and Addleshaw Goddard. This is not the first time Slaughters has advised Standard Life with Freshfields and Maclays on the other side. Barclays turned to a Freshfields team including Wills in 2009 for its £226m acquisition of Standard Life’s banking arm. Maclays advised Barclays on Scottish law matters. Slaughters Cleaver was among the team advising Standard Life. In January it emerged Wills advised Tesco on its £3.7bn merger with Booker Group, the UK’s biggest food wholesaler, alongside corporate partner Stephen Hewes and antitrust partners Alastair Chapman and Deirdre Trapp. Maclay Murray & Spens, fresh from failed merger talks with Addleshaw Goddard, has had another disappointing year financially, with a 12% drop in profits per equity partner (PEP) from £283,000 to £248,000, while turnover is up 3% to £44.8m. The 65-partner firm, which announced revenues of £43.5m for 2014/15, has faced its own challenges in recent years amid a difficult national legal market. Growth was stagnant for last year although PEP was up 10%. Total remuneration to all classes of partner has also dropped, from £15.1m last year to £13.1m. It is understood that this year the figures significantly lag behind those of the other Scottish independents – Burness Paull, Brodies and Shepherd and Wedderburn. In February it was revealed that merger talks between Addleshaws and Maclays to create a national practice with combined revenues of around £230m have been called off. Addleshaws’ takeover of the Glasgow-based practice would have been the latest in a run of Scots takeovers, and was planned to go ahead in May this year. The firm has been clear that it wants to make £250m in fee income by the financial year 2017/18, which a takeover would have helped achieve. Maclays is one of Scotland’s last remaining major independent firms, following Dundas & Wilson’s 2014 merger with CMS, McGrigors 2012 tie-up with Pinsent Masons and Clyde & Co’s takeover of Simpson Marwick last year. Maclays had previously entered talks with legacy firm Bond Pearce in 2011. In September last year, Maclays took on five partners and around 30 staff from the now-defunct McClure Naismith in London and Glasgow. Corporate partners Morag Campbell and Robin Shannan joined in Glasgow alongside property specialist Wilson Aitken and consumer finance partner Frank Johnstone, while in London the firm recruited litigator Philip Sewell. Merger talks between Addleshaw Goddard and Maclay Murray & Spens to create a national practice with combined revenues of around £230m have been called off. A spokesperson for Maclays confirmed it is not presently in any ongoing discussions with any firm, but it remains open to the option of a merger. The tie-up would have given Addleshaws a presence in eleven locations, including London, Manchester, Aberdeen, Edinburgh and Hong Kong. Top 25 UK firm Addleshaws saw a turnaround this financial year, after a period dominated by internal discord, management changes and falling revenues. The 2014/15 year saw the firm post revenue growth of 12%, up from £171m in 2013/14 to £193m – the highest levels since 2007/08. Profits per equity partner (PEP) was up 26% to £491,000. Maclays, which announced revenues of £43.5m for 2014/15, has faced its own challenges in recent years amid a difficult national legal market. Growth was stagnant for last year with revenues at the firm down 17% over the last five years. However, PEP was up 10% annually to £283,000. Addleshaws declined to comment on the matter. For more on management changes and strategic challenges for Addleshaw Goddard, see: Last orders – Addleshaws gets behind its new leader, but can it regain its form? Described last year as both beleaguered and bleak, the Scottish legal market is this year seeing something of a revival as revenue at Maclay Murray & Spens (MMS) – one of the LB 100’s worst performers in 2013 – was last week revealed to have risen by 7% from £40.4m to £43.3m and profit per equity partner (PEP) jump by £50,000 to £261,000, a 24% hike. The results – which follow Scots rival Shepherd and Wedderburn’s 2014 turnover increase of 6.7% to £38.3m and a PEP increase of 9.8% to £278,000 – came in the same week that Brodies, one of the standout performers among its Scottish rivals last year, unveiled a fourth consecutive year of turnover and profit growth, with a 13.2% increase in revenue to hit £52.1m. Final leading Scottish independent Burness Paull, created out of the December 2012 merger of Burness and Paull & Williamsons, has yet to publish its results but is understood to have had another good year, after 2013 saw it unveil a turnover of £38.7m, up 59% on legacy firm Burness’ £24.3m revenue at the end of 2011/12. Dundas & Wilson, which merged with CMS in May this year, is expected shortly to unveil its last independent set of results, after a poor financial performance saw its turnover drop by 35% post-2008 to £48.7m. MMS has put its growth this year down to improved market conditions and strong performances in corporate, tax, real estate, construction and financial services work that allowed the firm to invest further in five lateral hires last year. Having last year seen revenue drop by 33% over the five-year period since 2008, the firm’s latest financial results don’t go as far as putting it back to pre-Lehman levels, but its drop over a five-year period has been reduced to 21%. Shepherd’s latest figures mean last year’s drop in revenue of 16% since 2008 has fallen to 3% since 2009. MMS currently sees around a quarter of its income derived from London and plans further strategic growth, with a particular eye on its successful financial services practice. For Brodies, meanwhile, since an 8% dip in revenue to £35.8m during 2009/10, the firm has grown its turnover by 45.6%; a compound annual growth rate of 12% over both the last three-year strategic period and the past decade. Operating profits before partner distributions increased by 23% from £19.3m last year to £23.7m in 2013/14, a year that saw the firm take leases for new premises in Aberdeen and Glasgow, pushing up its costs by 6.2% to £28.4m. The firm has also invested in outside talent, and in the 12 months to 30 April, the number of partners at Brodies rose from 75 to 80, boosted by seven lateral hires, including regulatory and competition lawyer Rod Lambert from Norton Rose Fulbright in London to its Edinburgh office and corporate lawyer Neil Burgess from DLA Piper in Glasgow. Over the same period, the number of lawyers and professional advisers at the firm increased from 326 to 348. While some question whether this level of growth is sustainable in light of Brodies’ Scotland-centric focus, Bill Drummond, managing partner at Brodies, said: ‘Over the past year we have seen further sweeping changes in the Scottish legal market. However, this changing environment, and the slowly improving economic prospects present opportunities for Brodies and for our clients. We remain committed to our strategy of supporting clients within and from Scotland in all sectors that are fundamental to the continued success of the Scottish economy. After a tough three years Maclay Murray & Spens’ (MMS) chief executive Chris Smylie is to step down from his role, with corporate head Kenneth Shand to take over the reins of a firm which has seen revenue drop 33% since its £61.1m high in 2008 but is now executing significant changes out of a root and branch strategic review. Smylie, who has chosen not to stand for a second term, will return to his role as a partner in MMS’ planning team. In the interim, he will work with Shand to ensure a smooth transition to becoming CEO in June. The strategic review implemented by Smylie has seen the firm place a renewed emphasis on its London office and Robert Laing, chairman of MMS, said: ‘On behalf of the partnership I would like to take this opportunity to publicly acknowledge Chris’ outstanding contribution to the firm over his time as chief executive. Through a period of unprecedented turbulence in the legal sector he has piloted the firm with a steady hand and has been assured and resolute in his leadership. The Scottish market has been notoriously difficult to make money in over the past few years and MMS has suffered disappointing financial results, seeing its revenue drop by 13% to £40.9m and profit per equity partner down by 22% to £211,000 at the end of last financial year. The firm began a strategic review of its business in June 2011, which was temporarily put on hold when it entered merger talks with legacy firm Bond Pearce (now Bond Dickinson); discussions which never came to fruition. However, in September MMS confirmed plans to make up to 30 legal and support staff redundant across its Edinburgh, Glasgow and London offices in a range of practice areas, particularly property and corporate. LLP results released earlier this month showed that its net profit was down 21.8% from £13.3m to £10.4m, with headcount down by 22 fee-earners as staff costs were cut 7.2% from £18m to £16.7m. The highest-earning partner took home £292,000, a 26% cut on £397,000 the year before. On merging with Archibald Campbell in October 2012, Shoosmiths acquired £1.77m of net assets, £1.47m of which was paid as a cash consideration, the UK top 45 firm’s first-ever LLP accounts show. The remaining £300,000 was collected by the end of the financial year. The 418-lawyer firm, which incorporated as an LLP on 4 May 2012, with the business of its general partnership transferring to the LLP on 6 August 2012, saw its bank loans increase by 18% from £6.5m in 2011/12 to £7.7m last year, while other loans also increased from £1.7m to £2.6m. Shoosmiths’ highest paid partner saw their earnings drop 25% from £375,000 in 2011/12 to £281,000 last year, as audited accounts also showed a drop in net profit of 12% during that period from £12.5m to £11m, although turnover increased 3.4% from £84m to £86.9m. Elsewhere, at UK top 80 firm Morgan Cole the highest paid member of the equity took home almost 42% less at the end of the last financial year – £162,000 compared to £278,000 in 2011/12. The lowest paid equity partner also took home 35% less; £135,000 compared to £206,000 the year before. This came as revenue dipped 8% from £36.6m to £33.7m, as profit dropped over 32% from £10.1m to £6.9m, which the Cardiff-based firm attributed to a one-off property charge which has now been resolved. Meanwhile, Maclays has significantly reduced its borrowing despite seeing revenue and profits drop, with turnover down 12.6% to £40.8m last year compared to £46.7m at the end of 2011/12. Net profit was down 21.8% from £13.3m to £10.4m as the firm also reduced its headcount by 22 fee-earners and staff, as staff costs were cut 7.2% from £18m to £16.7m. The Scottish market has been notoriously difficult but Maclays, which has seen its revenue drop by over 30% from its 2008 high of £61.1m, has nonetheless shaved its bank loan from just below £2m to around £1.3m in the last financial year. The highest-earning partner took home £292,000, a 26% cut on £397,000 the year before. The picture could not be more different at top 50 UK firm Charles Russell which, despite seeing turnover and profit increase only slightly, saw its highest paid partner take home £600,000, up from £366,000 in 2011/12, a 64% increase. The 310-lawyer firm continues to pay off an £11m term loan taken in 2009 to refurbish its City offices, reducing its outstanding borrowings to £6.6m last year. Redundancy is a word that has been heard rather less over the quieter summer months but yesterday (9 September) Scottish firm Maclay Murray & Spens confirmed it has made a total of 28 staff redundant. Meanwhile, Midlands firm Shakespeares this week confirmed the launch of a consultation over 19 secretarial roles as Ashurst completes the first stage of a redundancy process affecting 350 roles. The firm – which has suffered disappointing financial results for the last few years and this year saw revenue drop a further 13% to £40.9m and profit per equity partner down by 22% to £211,000 – began a strategic review of its business in June 2011, which was temporarily put on hold when the firm entered merger talks with legacy firm Bond Pearce (now Bond Dickinson); discussions which never came to fruition. Meanwhile, Midlands firm Shakespeares, which announced the acquisition of Leicester-based property firm Marrons and Coventry-based Newsome Vaughan last week, is restructuring its secretarial function and launched a redundancy round at the end of last week with 19 out of 100 secretarial roles put at risk across its seven offices. At the same time, the firm is creating 18 new administrative roles and some of those under review may be re-hired as administrators carrying out paralegal as well as secretarial work. This latest development follows a redundancy consultation launched in September last year, shortly after the fast-expanding firm’s merger with Harvey Ingram, in which it cut 54 roles. Elsewhere Ashurst, which made public in June its plan to launch a new Glasgow unit to lower costs in a move which sees 350 London support roles placed at risk of redundancy, has confirmed that it has completed the initial stage of this consultation and that individual consultations are now in process. The restructuring will see 150 new roles created in Glasgow in the first 12 months, 120 of which will be in the support services function and 30 of which are legal analyst roles. The 350 London staff now undergoing individual consultations will be offered the opportunity to move to the new base. Results of the final outcome are expected at the end of the year with staff expected to leave or transfer in early 2014. Berwin Leighton Paisner, DWF, Hill Dickinson and Taylor Wessing have all announced job cuts as a result of consultations which have completed in the last couple of months, while Watson Farley and recently merged Bond Dickinson have both launched consultations of their own, with confirmation of the number of roles cut expected from Watson Farley at the end of this week. Following Dundas & Wilson’s announcement last week that its revenues and profits had tumbled dramatically for the second year running, the latest figures from Scotland’s two other elite firms shows it is not alone in suffering from poor financial performance. Maclay Murray & Spens (MMS) has managed to outdo the beleaguered Dundas in terms of underperformance, with revenues down 13% to £40.9m from £46.9m last year, while profits have dropped by 24% to £9.7m, equating to a fall in PEP of £59,000 to £211,000 – down 22%. These figures are marginally worse than Dundas, which saw revenues dip 11% and profits fall 21%. Although the decrease in revenues reflects the disposal of its Law at Work subsidiary last year, which accounted for £1.7m of turnover in 2011/2012, chief executive Chris Smylie said that the latest results had come at the ‘end of a year which saw the firm carry out a root and branch strategic review’. Lawyer headcount at the firm is down 4%, while partner numbers are down 5%. ‘We remain of the view that adding scale without regard to long-term profitability is the wrong thing to do,’ said Smylie. ‘Whilst we want our business to grow, we need that growth to be both aligned with our strategic ambitions and solidly founded and that has required us to scale back to ensure that our future growth is sustainable. I am very much more comfortable with that situation than I would be with increased turnover obtained at the expense of long term profitability. Of the four largest Scottish independents (now three after McGrigors was acquired by Pinsent Masons last year), Shepherd and Wedderburn is perceived to have suffered the least since Edinburgh’s status as a financial centre declined rapidly from 2008. This has proved the case again in 2012/2013 with Shepherd posting a less dramatic 3% fall in turnover from £37m to £35.9m, while profits fell 2% to £10.3m. PEP stands at £251,000 down 4% on the previous year. This is against a 7% increase in total lawyer headcount, while partner numbers have increased by 2 – up 3% on last year. Despite a relatively better performance from Shepherd, collectively these three firms have been left scarred by a hard recession in Scotland and an overdependence on transactional work. In 2007/2008, the combined revenue of these firms was £178.5m. This year, it is £125.5m, a fall of 30%. The fortunes of Scotland’s big three reflects a tough domestic market that has seen firms such as Semple Fraser collapse and others being taken over by UK rivals south of the border. However, this contrasts sharply with two firms – Brodies and Burness- that have focused exclusively in offering a premier Scotland-only service which has rewarded both firms financially over the past five years. While Burness has yet to announce its 2012/2013 results, Brodies saw revenues increase by 8% to £46m – now putting it ahead of MMS to become Scotland’s second largest firm by revenue (not counting McGrigors as part of Pinsent Masons).